Long ago are the days of regular skates. Now there are shoes that ARE skates. Heelys are a skate within a shoe. for Carter when she was only 6.
and just couldn't get the hang of them. Here are the Heelys I chose for Carter. See how they look like regular tennis shoes? There is a place to pop out the cover for the wheels. It even comes with a little tool to help do that. the wheels and you have Heelys. how to use your Heelys. 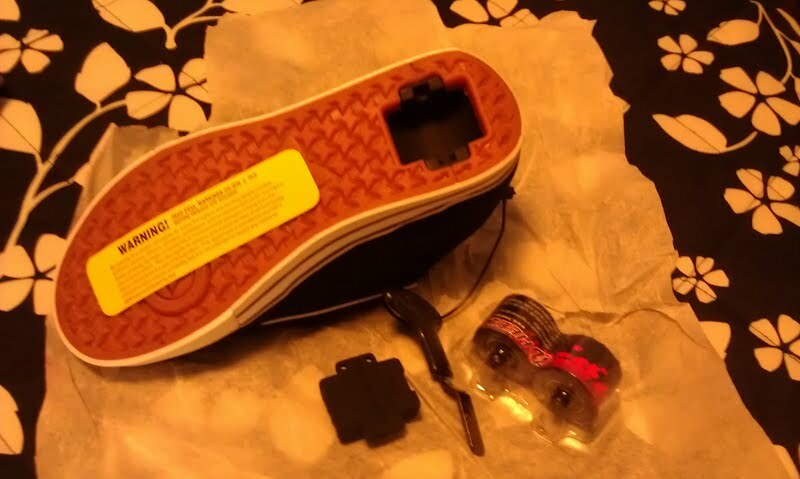 *I received a pair of Heelys to try out in return for a review of the product. I was offered this from Business 2 Blogger. I was not asked for a positive review just a fair and honest one.